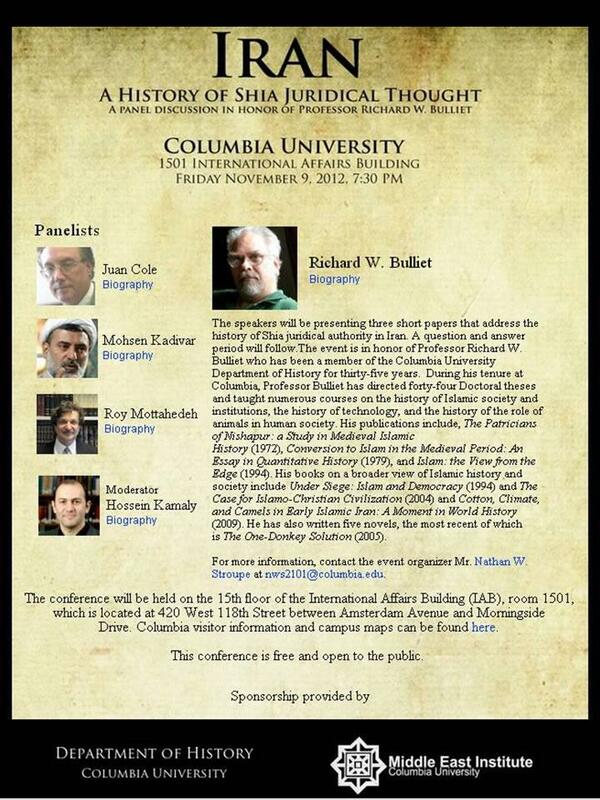 Looking forward to this upcoming panel discussion at Columbia University. 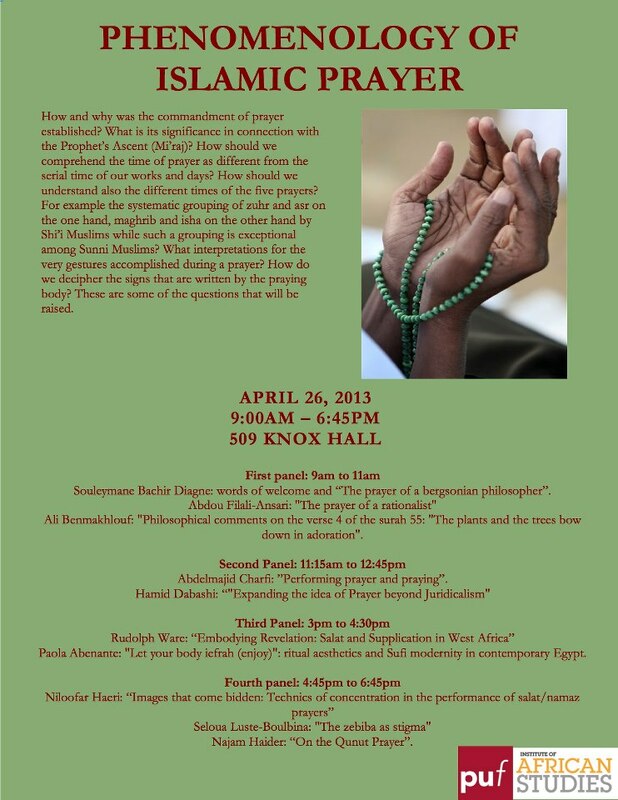 Will be moderated by my former professor Najam Haider…should be interesting. 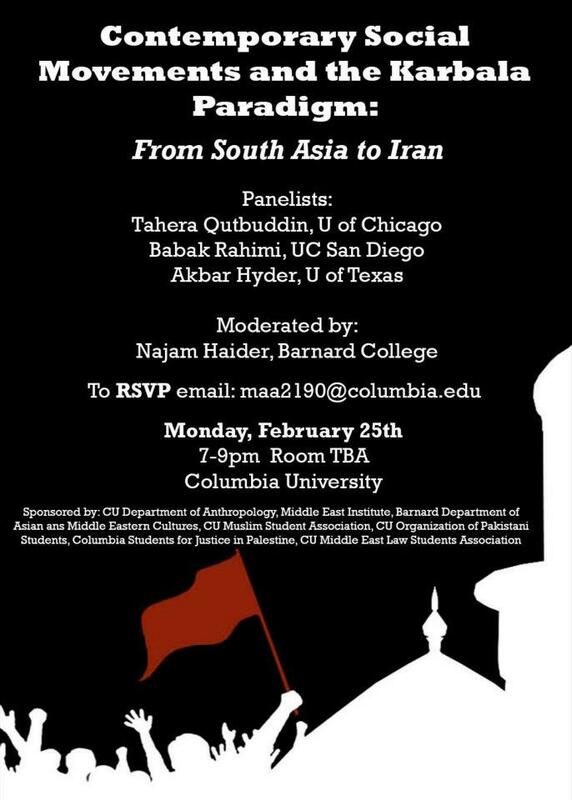 Those who are in New York and can take the time out should come, since good discussion on Shi’ism in the social context in South Asia is difficult to come by. This was an informative panel which took place at Columbia University to honor Professor Richard Bulliet, but it was primarily a discussion on Shia juridical thought. Although the main focus was on Iran but there was good general discussion on Shi’ism in general.